In order to take effective action on empty homes authorities need to make it easy for people to notify them. The council tax register will provide a starting point, but this can over estimate the number of empty homes, because there is often no incentive for owners to inform the authority when the property becomes re-occupied. Local authorities should also advertise contact details on the authority website and encourage reports from the emergency services. The Welsh Government provides a notional allocation of Social Housing Grant to each authority in Wales to fund the delivery of affordable housing. Authorities are responsible for deciding on priorities and can work with RSL partners to use SHG to purchase and bring empty homes back into use as affordable homes. Council Tax and long term empty homes in Wales: Through the Housing (Wales) Act 2014, the Welsh Government have made changes to legislation which will give Councils the power to charge up to 200% council tax on properties that have been empty for more than 12 months to encourage owners to bring empty homes back into use. Councils are able to retain the income raised and a number of councils have introduced this additional charge. VAT Relief: There are a number of VAT relief schemes which apply to renovating empty homes. These can significantly reduce the costs of renovation for owners and result in empty homes coming back into use with minimal intervention by the authority. VAT Notice 708 (Building and Construction) (HM Revenue & Custom) - Empty houses that have been unoccupied for two years can qualify for a reduced level of VAT (5%) on building works. This can be a significant reduction in the overall costs of bringing the property back into use. VAT Notice 431C (HM Revenue & Customs) - Properties that have been unoccupied for more than 10 years may be eligible for zero rated VAT. However, landlords, developers or others using the building for business purposes are not eligible to claim. VAT Notice 708/6 (Energy-Saving Materials) (HM Revenue & Customs) - Reduced rates of VAT also apply to installing a number of energy efficiency or energy saving measures. These discounts may apply to works to bring an empty property back into use. In the UK a significant proportion of empty properties are in a very poor condition, which makes them unmortgageable and therefore more suitable for sale by auction. However, owners of these properties are often discouraged to sell by auction as fees tend to be higher than normal estate agents. Local authorities can play a brokering role by putting empty home owners in touch with people interested in bringing them back into use. In most cases the most effective way of bringing an empty property back into use is to provide time consuming support and advice to the owner. In a small number of cases it will be necessary for the authority to resort to the use of enforcement powers such as an Empty Dwelling Management Order (EDMO). 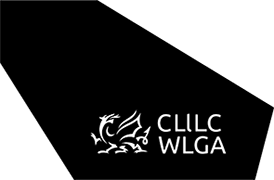 The WLGA improvement support project has provided advice to every authority on making the best use of enforcement powers to bring empty homes back into use. Click here for more information on using an EDMO.